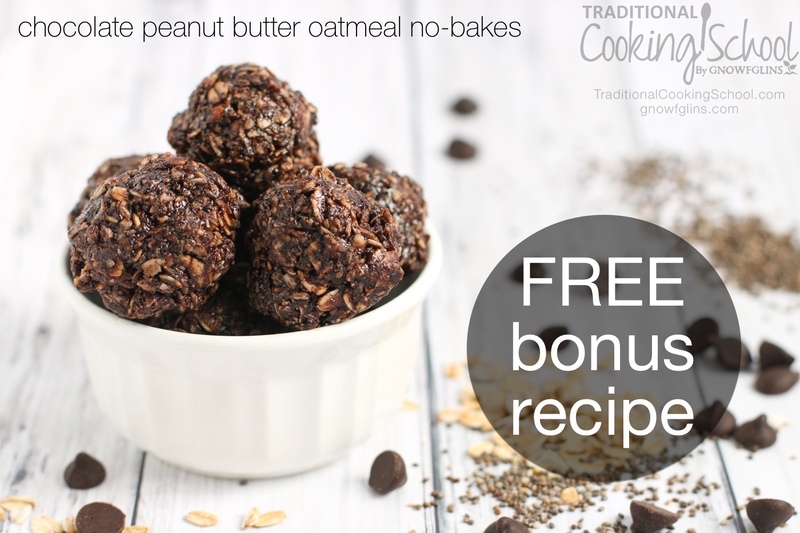 Allergy-friendly no bake cookies?!? No kidding! These no bake coconut snowball cookies are beautiful, incredibly easy, and delicious. Not mention, nourishing. Just what you want in a cookie! Recipe courtesy of Diana Bauman's Nourishing Cookies for a Healthy Holiday. The first step in this recipe is making “coconut butter” out of shredded coconut and coconut oil. This alone is pretty cool. Because you've probably run into recipes (like my coconut cream frosting) calling for coconut butter and you plumb don't have any. Well, now you can make it! If you already have coconut butter, use 1/2 cup for this recipe. Finally, the verdict: Delicious! We love them and will make them often. Thanks, Diana! Shared with permission from Diana Bauman’s Nourishing Cookies for a Healthy Holiday. Makes 15 cookies. Combine coconut oil and 1 cup shredded coconut in bowl of a food processor or Vitamix. Add maple syrup, coconut milk, vanilla extract, and salt. Then process on high speed until well combined. Add 3/4 cup additional shredded coconut. Process on high speed until ingredients have combined and formed a batter. Then shape the coconut mixture into 1-inch balls. Refrigerate for at least 1 hour or up to a week. Finally, bring to room temperature before serving. If you’d like to make these extra special, omit the final coating of shredded coconut in step 4 above. Then allow the shaped coconut balls to firm up in the refrigerator, preferably overnight. Once the coconut balls have firmed up, melt dark chocolate in a small saucepan over medium heat. Then dip the coconut balls into the melted chocolate. Sprinkle them with shredded coconut. 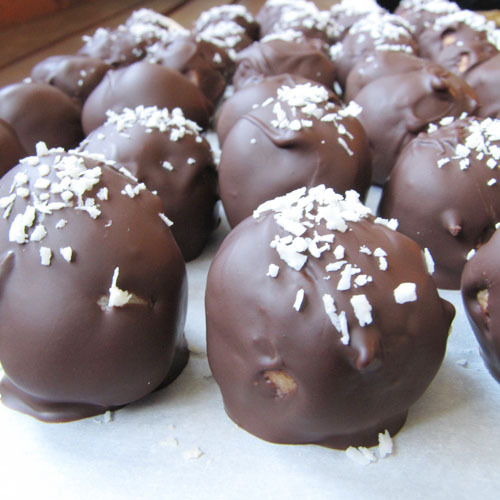 Finally, allow let chocolate harden by placing the coconut balls back into the refrigerator for 5 to 10 minutes. 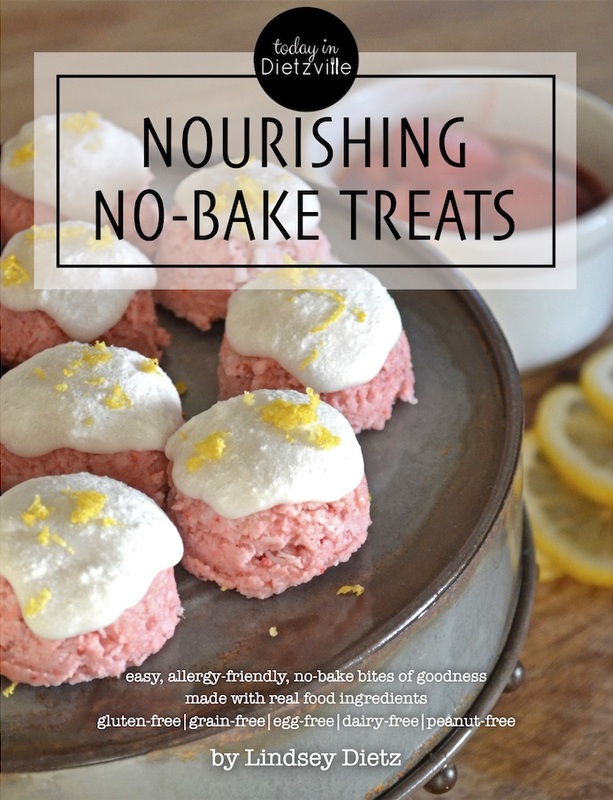 If you love these allergy-friendly cookies, then you may just love my friend Lindsey's book, too! What are your favorite holiday cookie recipes? Have you been able to convert them to lightly and naturally sweetened treats? When the recipe calls for “Coconut milk” is that in the can or in the refrigerate section??? We used the canned coconut milk. 🙂 Happy Thanksgiving to you too! Also, Dona — you can use homemade coconut milk. I posted a recipe below in reply to Kristen. Aren’t they pretty??? I think you’ll love them! Thanks for sharing what you do, Jenny! This looks super yummy. Will have to give it a try soon! Any ideas of what I could use in place of the coconut milk? We don’t use anything canned or packaged. Maybe some thick cream off the top of milk? These are fabulous! I would like to try them next with the chocolate! The down side of my homemade chocolate (honey, cacoa and coconut oil) is that it is messy as it softens. But I will give it a try………thanks for the snowball recipe! It sounds yummy thank you! I’m thinking of adding pb to it. Do you think I could just add it to the recipe or should I omit something? I would use it in place of some of the coconut butter — but it will be more wet so you might have to add a little almond meal. love finding healthy ways to use coconuts in a dessert. With coconut trees on our property we seem to have a lot around, actually giving some to friends when we end up with to many. I will be putting this recipe into the coconut file to be used as soon as possible. My mom used to always make a a non-vegan version of these around the holidays. Loved them! Can’t wait to make my very own. I think I might try adding a pecan in the middle. Hi! Thanks so much for sharing this recipe! By any chance, can you recommend a ‘healthy’ recipe for a basic cookie dough that can be rolled out? I’m hoping not to use gluten.. These look awesome! Can they be frozen? I see that they will last for a week in the fridge but I wanted to do some baking ahead of time. How much chocolate did you use per 15 cookies? 2 bars? I may just guess and buy the tiny cocao pieces in bulk. My daughter melted a 10 oz bag of chocolate chips and dipped the cookies in that. She was able to cover thirty-five or so cookies before running out of chocolate. Yummy. Making these tomorrow. Add an almond and it will taste like almond joy. I was able to yield 8 cookies from this recipe. The rolls are fairly small, too. Not quite sure how to get 15. All came out very tasty, though ! 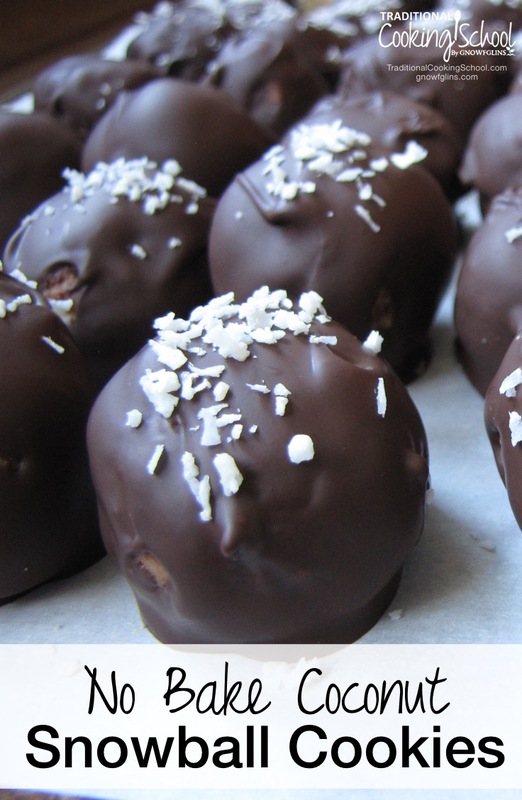 I was in the process of molding the coconut snowballs, when I gave one to my sibling who needed to satisfy his sweet tooth, and he LOVED it…and that was before I had the chance to dip them in chocolate! Thanks for sharing, Wardeh, I look forward to bringing them to our Thanksgiving festivities tomorrow. Hello 🙂 I realized late but tried to use coupin code. stated expired. 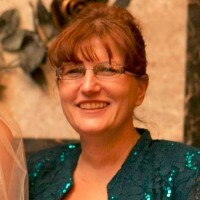 Little dissapointed…still technically Fri.
Heather — We’re contacting Diana about this. Thanks! Katja — We’re contacting Diana about this. Thanks! Just wondering if it’s possible to get the nutritional values to the cookies? So important for diabetics and those that cook/bake for them. Could I use coconut cream concentrate instead of coconut butter? Davina — It has to be very thick. Is this the concentrate that you add water to get a drinkable consistency? Is it a powder or a paste? It’s a paste, from TropicalTraditions.com. And it is VERY thick. I think you could use it. I would just blend it smooth in the food processor or blender before using in the recipe. This warms it up and makes it fluid. If it won’t circulate, add a little liquid. It’s a very thick paste, from TropicalTraditions.com. Can’t wait to try I love me some coconuts. I classify this as candies, not cookies. As candy, they are great too. When I go to make the coconut butter should I melt the coconut oil before putting it in the processor with the shredded coconut or leave it a solid? I have a jar of coconut oil, but it is a solid. Should I melt it before I mix it with the shredded coconut or not? Is the coconut fresh or can I use the bagged shredded from my co-op? Since I LOVE Almond Joys so much, I think I’d just have to find a way to incorporate almonds in this recipe to hit on all my favorite notes! Maybe 1 almond on the top of the coconut ball, under the chocolate OR crushed almonds along with the sprinkles of coconut on the top…probably the lone almond is the way I’ll go…more like the candy bar. I can’t wait to try these but I don’t have any maple syrup on hand, would honey be a good substitute? I really want to make these but ~I don’t have a food processor, a KitchenAid or anything else close ..just a hand held hand mixer. Will this suffice? We don’t think it will work with a hand held mixer. The processor is needed to get the ingredients to the butter stage and a mixer won’t do that. Sorry! (2) use real chocolate, like Hershey’s or Nestle’s. (5) Put some coconut candies inside. do you have nutritional info on these, please? This recipe was very easy and went together in 15-20 minutes. The not-yet chilled version, sweetened with half maple syrup and half agave, was delicious and resulted in 16 snowballs. Will dip in dark melted chocolate tomorrow. Plan to make several batches of these tasty treats for Christmas gifts. Thanks for a wonderful recipe to add to my collection! These were great! I got the recipe from a friend and they are rich and sweet so they don’t need sugar at all!!! I used regular milk as I didn’t have coconut milk and they came out no different than the ones my friend made! Delicious!